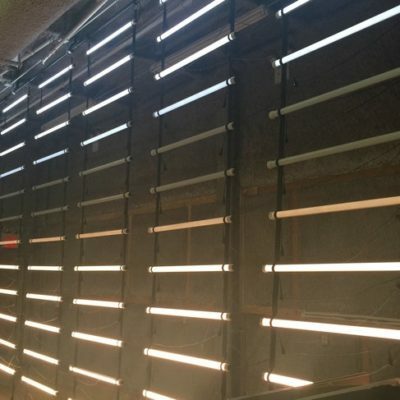 Sourcemaker’s innovative LED tubes are the most efficient tube on the market. Twin circuit, High CRI 4’ and 2’ tubes are endlessly scalable and also adjustable with three diffusion strengths. Our proprietary hybrid system gives you independent control of daylight and tungsten channels, allowing you to dial in any color temperature between 2800K - 6000K. Full triac compatibility gives you the freedom to use any readily available 120v dimmer, including RatPac, etc. 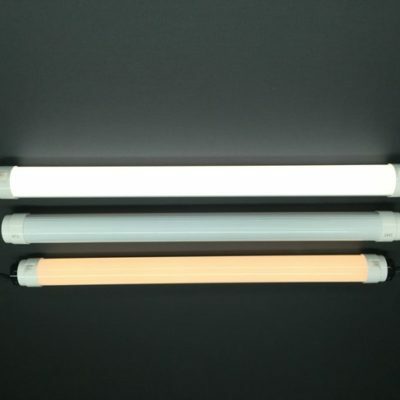 At a .95 power factor rating and over 100 lumens per watt, each color channel of a 4’ tube draws only .3A. SourceMaker recommends using two (2) of the bi-pin to Edison adapter per tube.